Daikaya Ramen | Thank You. Cooperate. Ramen. It might be the perfect food. Proteins, veggies, and noodles combined in bowl of harmonious broth when done correctly, is magic. 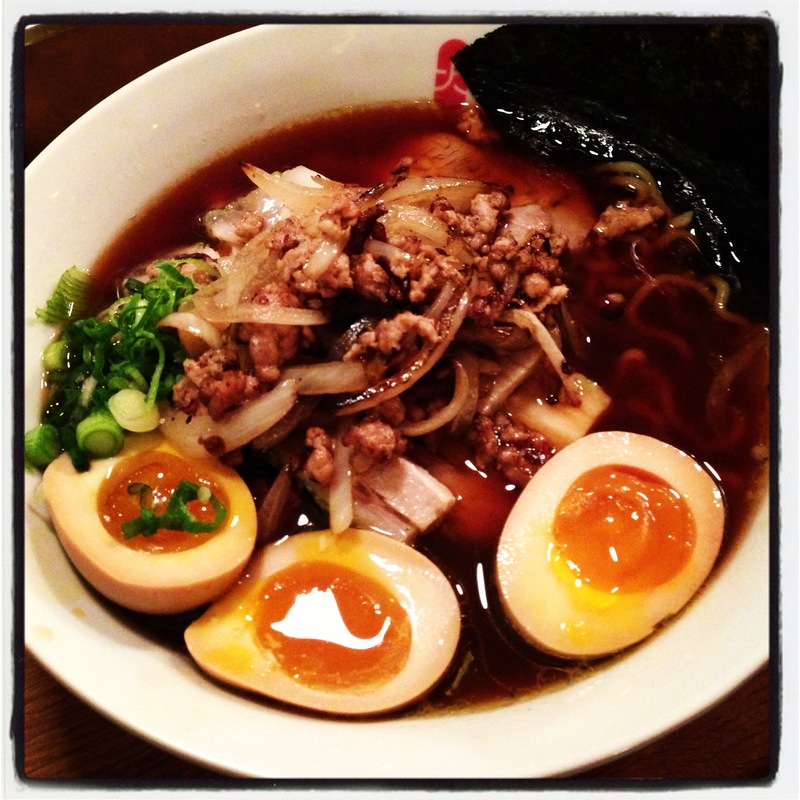 And there’s something magical about the ramen at Daikaya. This 40-seat hip ramen joint is conjuring up a couple of hundred bowls of Sapporo style ramen daily. What makes their ramen magical? It’s not the carefully prepared Chintan stock, a complex concoction which contains chicken, beef, and pork that takes over 16 hours to make. It’s not the custom noodles made by Nishiyama Seimen company and then imported from Sapporo, Japan. It’s not the toppings that consists of onions and bean sprouts wok fried with minced pork and flavored with garlic and garlic oil. It’s the delicate balance and perfect combination of all of the above that transforms something as deceivingly simple as a soupy noodles into, magic. 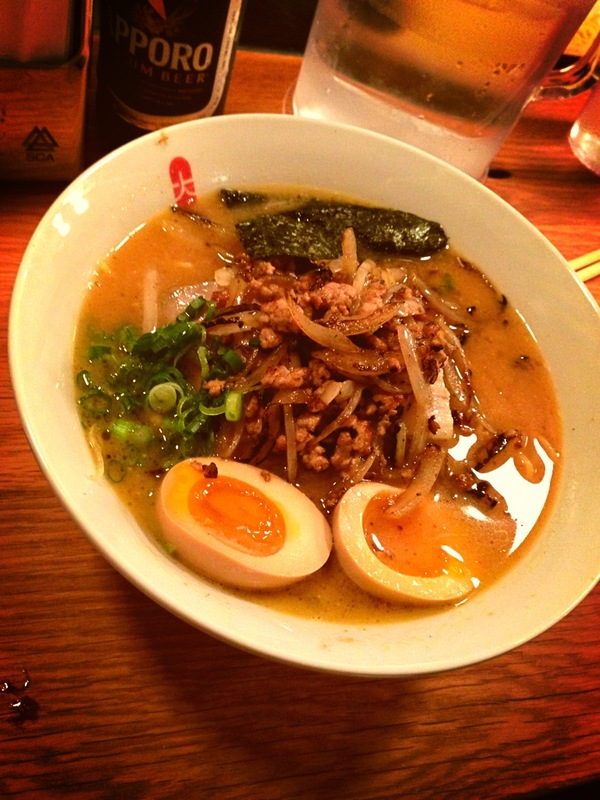 Daikaya serves 4 kinds of ramen, shio (salt), shoyu (soy sauce), miso, and veggie. Each with its own unique flavor profile and toppings. However, ramen is now an interactive experience. You can “built your own” by picking additional add-on items. These range from something as simple as seaweed or canned corn to a complex piece of braised pork belly. So go nuts. The bowl is your oyster. Aside from ramen, these guys also make a mean plate of pan fried pork gyozas (dumplings). 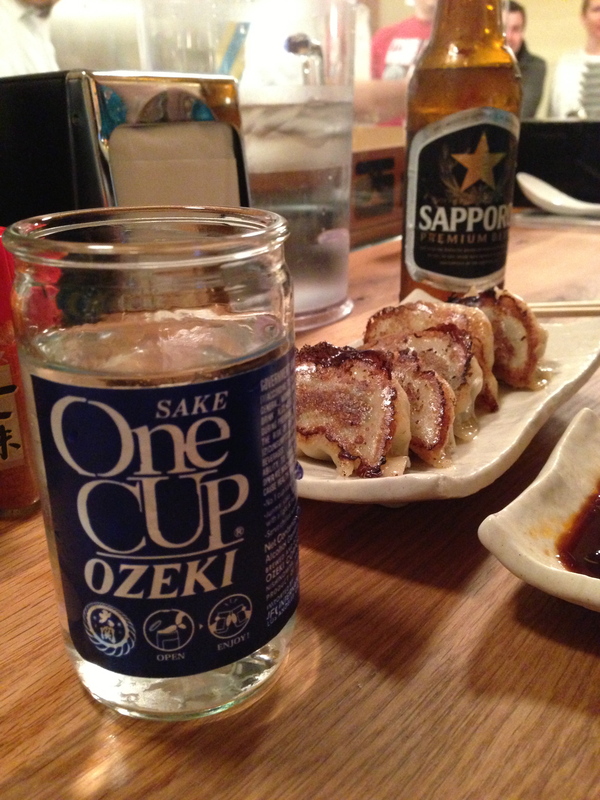 Wash the whole thing down with a can of imported cold sake or a chilled bottle of Sapporo.